Meetings are held at 7:30 PM on the 2nd Thursday of each month except July, August, and December at the New Berlin Community Center, 14750 Cleveland Ave. The May meeting (Installation of the Officers Dinner) is held offsite. ​ Welcome to the 43rd year of the New Berlin Junior Woman’s Club. We are a group of women committed to serving and strengthening our community through volunteerism, fundraising and friendship. Our mission remains the same…we are enthusiastically “ready to lend a helping hand” anywhere and everywhere we can throughout our community. Through our most notable fundraisers, the Harvest Art & Craft Fair and Hanging Basket Flower Sale, as well as other fundraising events, NBJWC raises more than $20,000 annually to give back to the community. Our newest venture, the Pop-up Prom Boutique provides an opportunity for the public to buy and sell used prom and formalwear in our community. In the past year, we gave to the New Berlin Fire & Police Departments, the New Berlin Scholarship Fund, Girl Scouts of Southeastern WI, the NB Historical Society, NB Senior Citizen’s Club, NB Senior Taxi, the Waukesha County Women’s Center, Hebron House, Safe Babies Healthy Families, ERAS Senior Network, The Women’s Center, NB Rotary’s Senior Advocate Youth Exchange Service and Parents Place. We also partner with local organizations to help them reach their goals. Our Easter Egg Hunt and Breakfast with the Bunny event generates non-perishable food donations for the New Berlin Food Pantry. We assist the New Berlin Historical Society at their concessions stand during their Historic Hill and Applefest celebrations and the Prospect Lion's Club at the New Berlin Fourth of July Festival. We can be found around the holidays, whether it’s sponsoring the Fourth of July Children’s Mini Parade or adopting a few families each year for the Christmas Adopt-A-Family. Most recently we have started to prepare meals for the Ronald McDonald House by Children’s Hospital. We also sponsored two Honor Flights in addition to sending funds to our local schools and families in crisis. 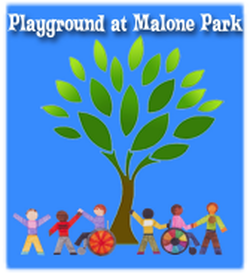 Our largest endeavor, the Playground at Malone, remains a wonderful addition to our community. This all-inclusive playground, funded by NBJWC and the City of New Berlin, designed with help from the school children of New Berlin, and constructed by more than 1000 community volunteers in partnership with the City of New Berlin, NBJWC and Play by Design LLC, is a destination for families of all abilities to enjoy together. I invite you to attend our events and help support the great city of New Berlin. We are always looking for new members, please join us at a meeting and discover what “Club” is all about. Whether you are more comfortable behind the scenes or in a leadership role, the New Berlin Junior Woman’s Club provides many opportunities to improve the community and make lifelong friends along the way.